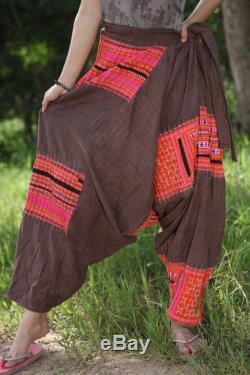 Grade a hemp harem pants, adapted from lisu tribal pants. A lot of leg room, perfect for working, exercising or practicing yoga. 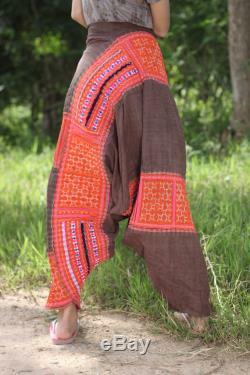 All made by northern thai hill tribe. Many way to wear as shown. 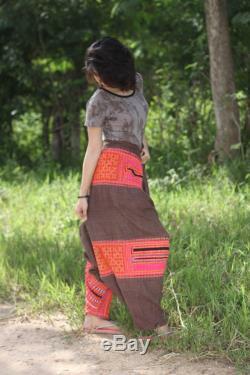 The fabric used are vintage hmong hemp fabric. Super rare find these day. Please expect some color fade on the applique part. 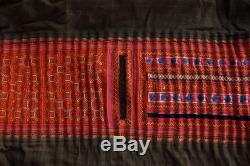 The fabric is vintage but in good condition. You can touch a beautiful, and unique design with cheaper price.